1. 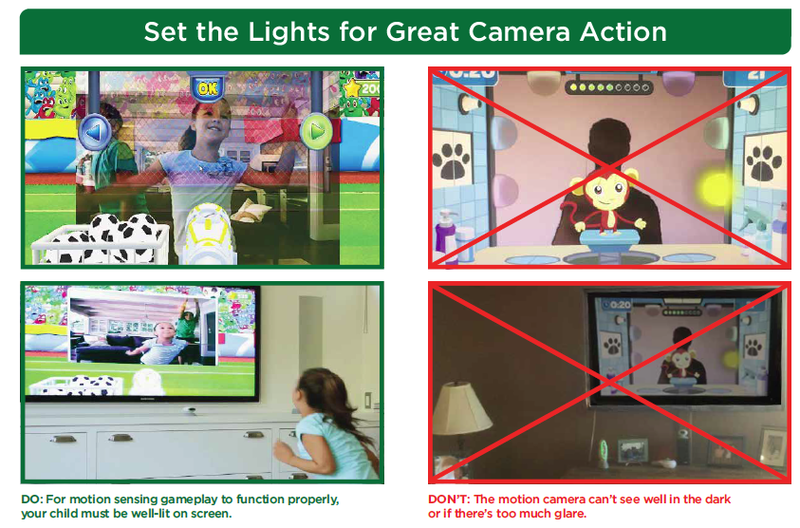 For pointer and motion play, the pointer and motion detection is done by the LeapTV camera, not the controller or television screen. Your child should be no more than six (6) feet from the camera for motion or pointer play. 2. Adjust lighting condition to reduce glare on your TV screen. 3. 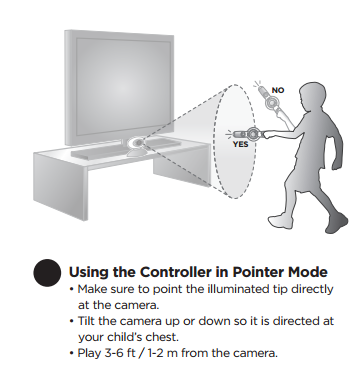 For motion-sensing gameplay to function properly, your child must be well-lit on the screen. ***NOTE: For optimal camera performance, the player must be well-lit or the system may have trouble reading their movements and showing them clearly onscreen during play.